Other: Fourth book in the Percy Jackson and the Olympians series. All books are published. 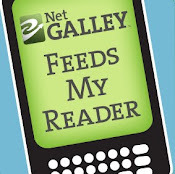 In this fourth book in the Percy Jackson and the Olympians series, we are still following Percy and his friends. Percy is going on orientation for the school where he will be doing his freshman year, but since we know Percy, not everything goes according to plan. The Titan Lord Kronos is threatening Camp Half-Blood, but also the world. Percy and his friends go out on a quest in order to stop him and his evil army from their plan. I have to say that I found this book slightly less enjoyable than The Titan's Curse. That third book is still my favorite in the series, but that doesn't mean that this book was any less than fantastic. We meet more gods, demigods and monsters and the storyline even involves a mortal, who proves to be invaluable for Percy and his friends. I read this book in one day and I'm still loving Rick Riordan's writing style and his way of incorporating the gods into daily life. 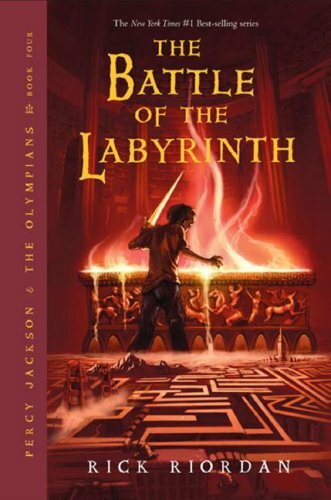 A 5- star rating for The Battle of the Labyrinth - because I found this to be a little less than The Lightning Thief, The Sea of Monsters and The Titan's Curse. I like the innocence of Percy's adolescent love life. The encounter with Calypso - "It would be the greatest 'what-if' of my life" - was quite fascinating.